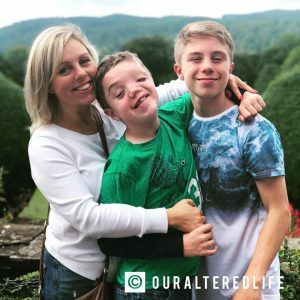 Parenting is full of hard decisions at the best of times but when you are making decisions for a child with special needs, life can be even more challenging. In my past role as a primary school teacher and now as I visit primary schools as part of my charity More Than a Face, I see examples of this at times. The children who are loved in the school setting but, due to their additional needs, are not quite thriving in the way they could or deserve to. I see the care for them from staff and pupils alike but I also see the realisation that the setting isn’t quite enough for the child they have worked so hard to find success for. And I see the pain for the parents who have hoped since conception, even without realising it, that their child will enjoy a ‘normal’ (whatever that is) life. I feel their crushing sense of failure on a journey where that sadness will eventually be replaced by relief. I have been that parent. When my twin boys were young, and even after Harry’s diagnosis of Autism, their Dad and I clung to the hope that Harry would attend a mainstream school with his brother. We accepted that they may not always be in the same classes but we hoped and prayed that the boys would enjoy playtimes together, school concerts and trips, friendships and homework. We wanted that so much that when we finally accepted this wasn’t a life that Harry would enjoy let alone develop academically, it was like a blow to the chest and I cried for the loss of another part of the life I had taken for granted. And yet, here we are over ten years later with my boys in separate schools, both achieving and growing in their own ways, loving school and I wouldn’t change it for the world. What this has taught me is that often, the most difficult decisions are the ones that we don’t want to make for US more than our children. I face another hard decision with every operation, be it major or minor, that Harrys endures. Making decisions for someone else’s face, someone else’s life, is not something that I take lightly and in the back of my mind I always wonder “what would Harry want?” Did he actually love the blank canvas of his unique face? Does he tire of medical professionals examining him? 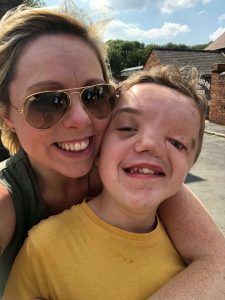 With every operation and procedure, I hope that he understands that I am simply trying to ensure that he stands the best chance at life in a world where people are judged so quickly on appearance. They are hard decisions and I and his dad have decided against procedures as well as agreeing to them but in the end, we hope they are decisions that result in Harry being accepted at best and given a chance at worst. At the moment, I am painfully aware that Harry won’t live with me forever. I am in the process of extending my house and ‘future proofing’ it for a time when he may need carers to come in and help me look after him. I don’t ever want Harry to live apart from me. That is my wish, but its a selfish one. Would I prefer that, when Harry loses both his parents, he is taken from his home and placed in an unfamiliar communal home with carers? Do I imagine lying on my deathbed terrified about what will happen to my boy in my absence? The answer to both questions is no and so I know there will come a time when I have to help Harry settle into a life without me both so that there is a continuation in his life and so that I get a chance to see him happy and settled away from me. I know this will be painful for me. I cry about it already at times. But it will definitely be in Harry’s best interests and so I am faced with yet more hard decisions for myself which will probably be incredible ones for my boy. I’m not alone in making these tough but necessary decisions. 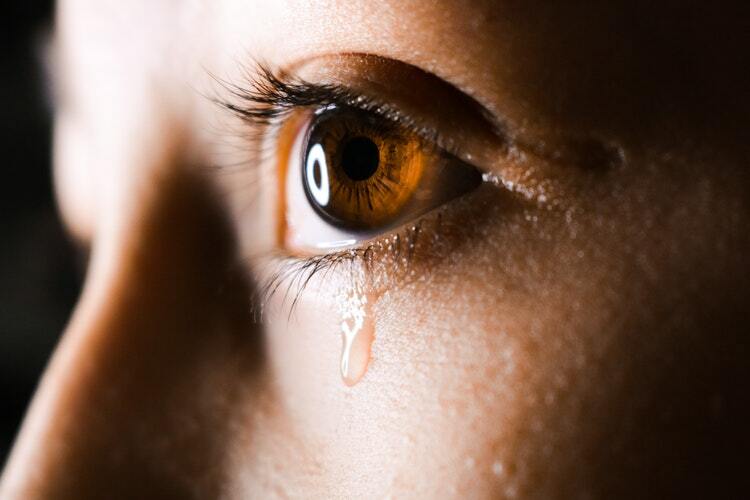 I have asked two of my wonderful blogging friends to explain the hard decisions that they have had to make and how they feel about them now. Around two and a half years ago I was faced with a decision I never expected or wanted to have to make. My marriage was over, and whilst we were separating the most important conversation was about how we were going to look after our two boys. Both of them are autistic, non-verbal, and have very complex needs. 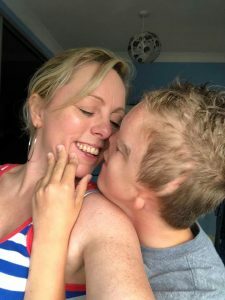 For years my eldest, Jude, had been struggling with anxiety, and would self-harm whenever he had a meltdown, which was very common back then. He just couldn’t bear to be around Tommy, his younger brother, who was loud and unpredictable, everything he hated about the world. So, we decided that the best thing to do would be to separate them. Me and their mum would look after one boy each, and we would swap every couple of days, ensuring we both got an equal amount of time with them. This way each boy got the 1-1 care they needed, and Jude would be living in a much more relaxed environment. Over the last two years, Jude’s anxiety has reduced dramatically, he is so much happier, a completely different boy than he was back then. As for Tommy, he gets the attention that he deserves, that wasn’t always possible when both boys lived together and is thriving because of it. If you asked most people they’d probably think it didn’t seem ‘normal’ to be living that way. There have been so many times that I’ve longed for them both to be living with me, for us to be able to do things together. But, that’s not our reality. It’s not been easy living this way, but for Jude and Tommy, it’s been the best decision we could ever have made. The decision to no longer go to anything at Isaac’s school came about after seeing himself harming and becoming very distressed last year when he saw me at a school assembly. I knew he struggled with blending school and home and he is very rigid in his thinking but I never thought that seeing me in the school environment (where I don’t belong) would be quite so distressing. I could not bear seeing him like that so drive home from his school with tears running down my face vowing to make this easier for him. The best way to do that was to make the headrest decision of all and that was to no longer go to his school for things. 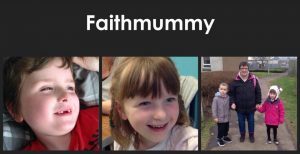 It’s been a very heartbreaking decision for me but I have heard from his teacher that he is self-harming less and more settled since 8 made this decision so however hard it is for me I have to put my child first. We are just scratching the surface here with a few of the decisions that parents like us have to make all the time to ensure that our children are the happiest and safest they can be. Parenting is never an easy job and there is no doubt that parenting children with disabilities has additional challenges but at the same time, it has different rewards. Developing a level of self-awareness and compassion that we may otherwise not possess, knowing that our children are happy and thriving because we did what was hard for us and right for them, knowing that whatever we do for them will never be enough to repay the love and the joy that they have brought into our lives. Ultimately, all of these reasons mean that when we look back on the hardest decisions we not only see the rewards but the evolution of a parent we never believed we could be. Our children do that for us and while it may be hard to make some big decisions on their behalf at times, loving them unconditionally is the easiest thing in the world to do.